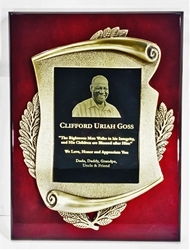 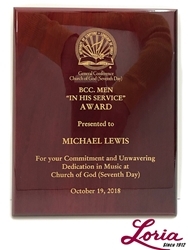 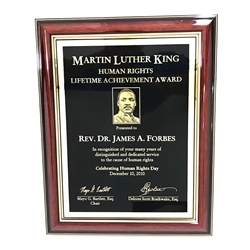 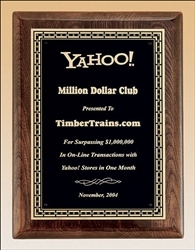 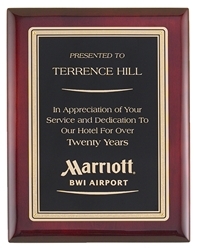 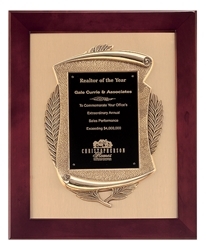 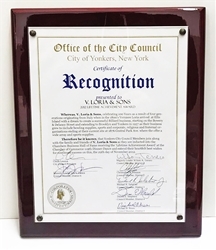 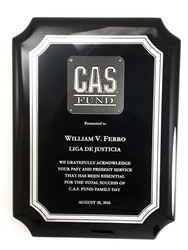 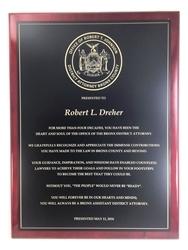 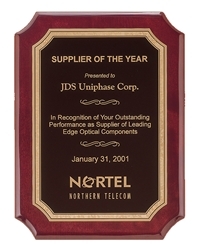 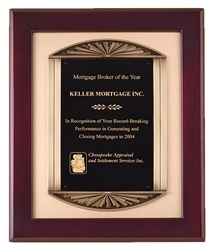 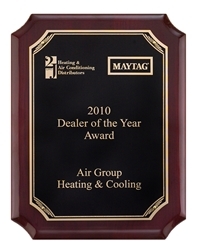 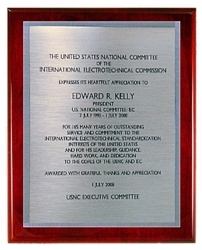 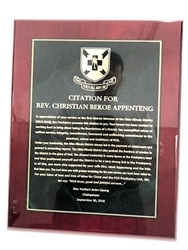 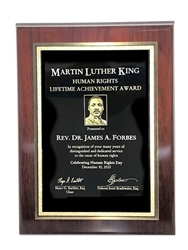 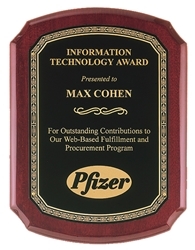 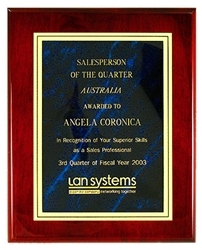 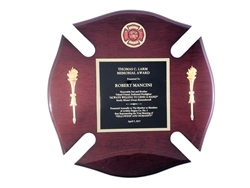 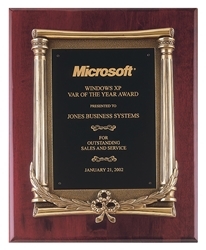 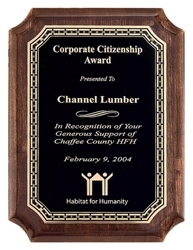 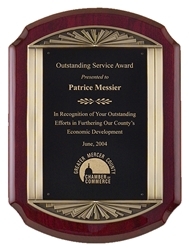 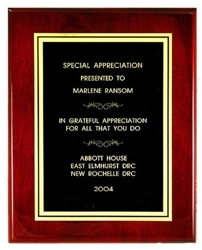 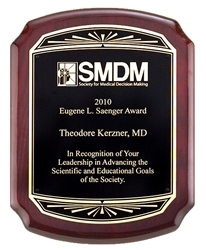 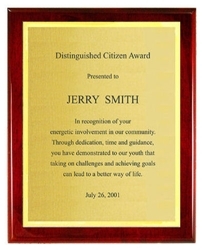 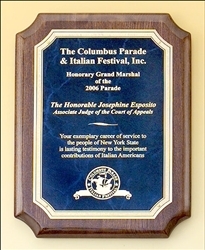 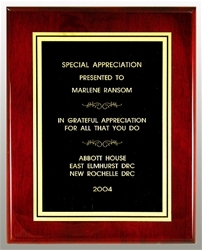 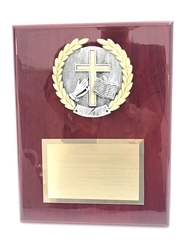 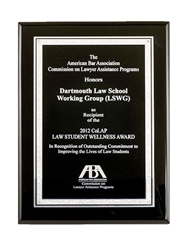 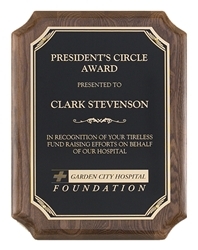 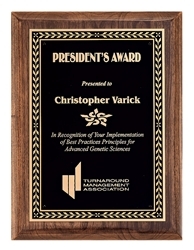 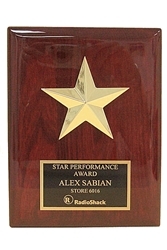 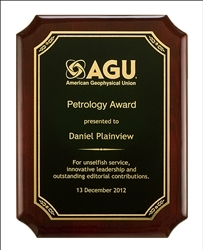 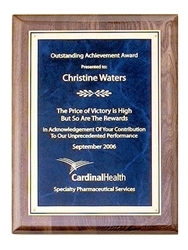 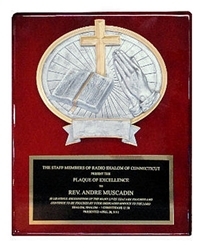 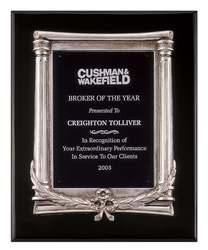 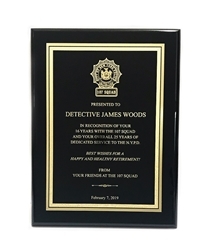 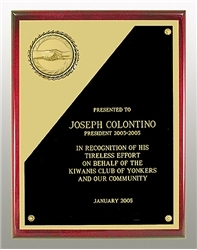 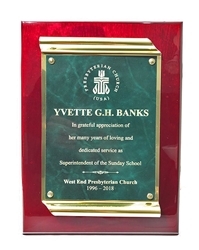 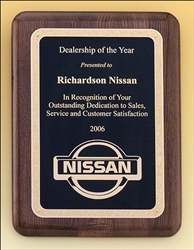 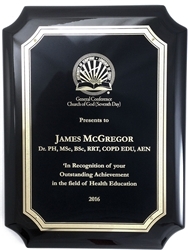 Premium Rosewood Piano Finish line of award plaques with a choice of sizes and plate colors. 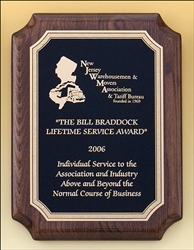 Impressive 18" x 24" size. 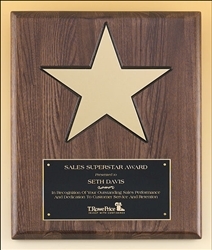 Metal Star Plaque 6" x 8"